Jennie Sealy Hospital - Zero/Six Consulting, LLC. 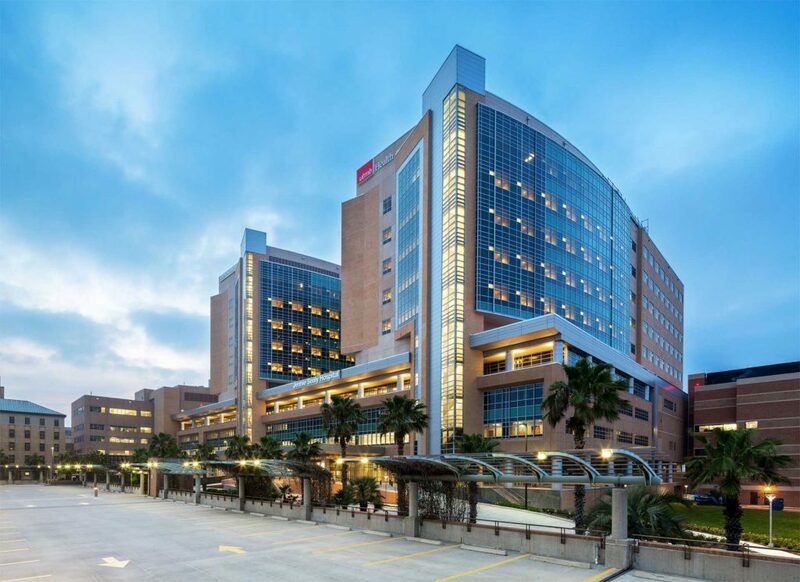 The University of Texas Medical Branch Jennie Sealy Hospital replaced the existing facility following damage from Hurricane Ike in 2008. 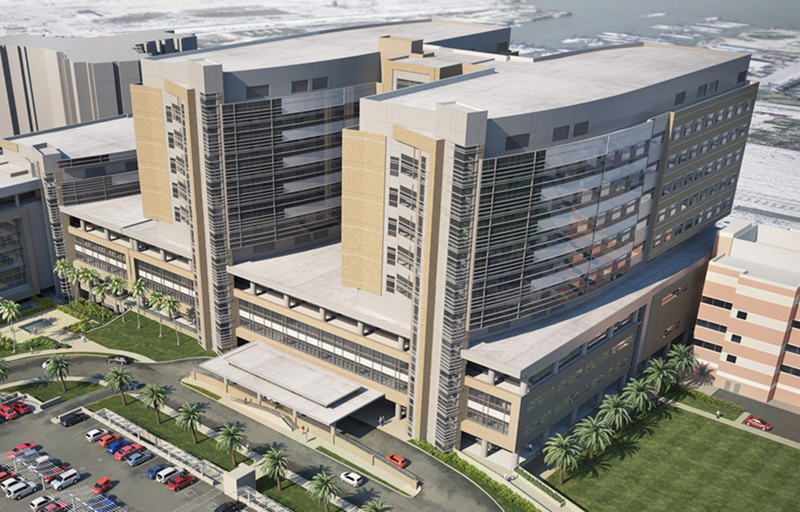 The design of the new building is resistant to high winds and is built 25-feet above sea level to prevent flooding. 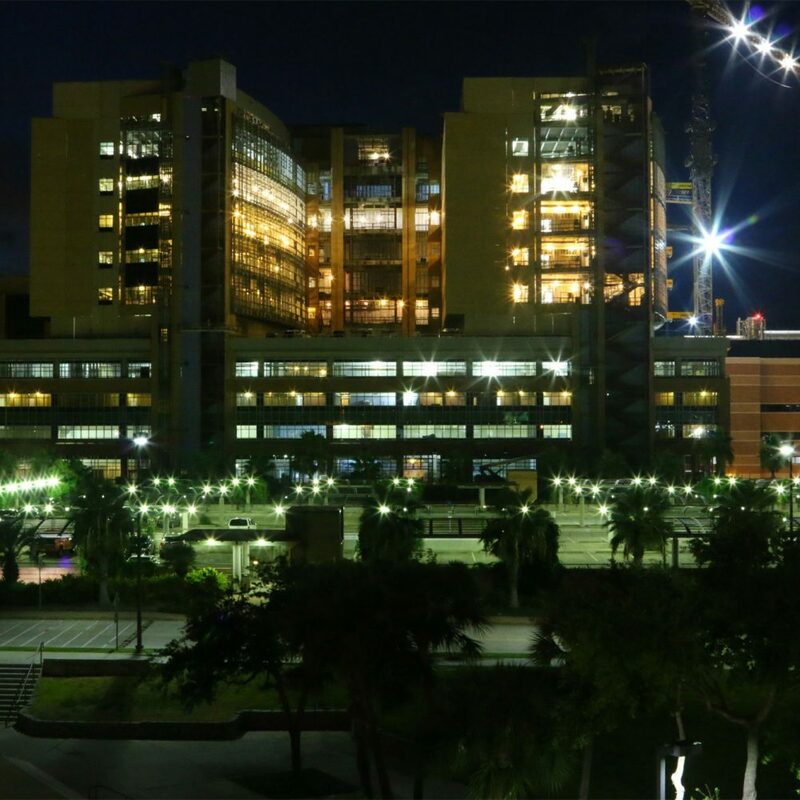 The new facility houses advanced technology, such as an intra-operative MRI operating room and includes 310 patient beds, 60 intensive care units, 20 operating suites and 28 operating rooms. Zero/Six performed site visits five days a week providing quality control inspections for construction tasks involving the building envelope, including daily field reporting and keeping deficiency logs. During the Design Phase, our building envelope services included reviewing the owner’s requirements, assisting the architect of record with the basis of design, and reviewing all building enclosure construction documents, shop drawings and submittals. Quality assurance factory visits were conducted at the curtain wall and precast suppliers facilities to inspect the process. Additionally, Z6 Commissioning conducted pre-functional performance testing on (2) 20’X30’ mock-ups consisting of the window systems, pre-cast panels, metal panels and the curtain wall materials at their laboratory. For added assurance, our team provided an acoustical design validation evaluation for acoustic finishes, noise levels and sound isolation performance of the interior walls and ceilings. During the closeout phase, Zero/Six reviewed the system’s maintenance manual and issued a final summary report related to Building Enclosure Commissioning (BECx) activities and WPI-8 certificates as part of the Texas Department of Insurance (TDI) windstorm requirements.